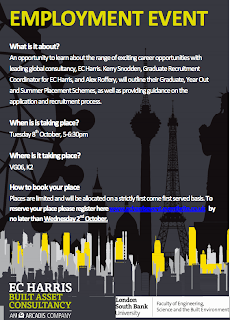 On Tuesday, 8th of October there is going to be an event lecture taking place in London about construction careers for graduates. From this year EC Harris Employment started employing a lot of students who graduated with an Architectural Technology degree giving them an opportunity to get into the construction industry. 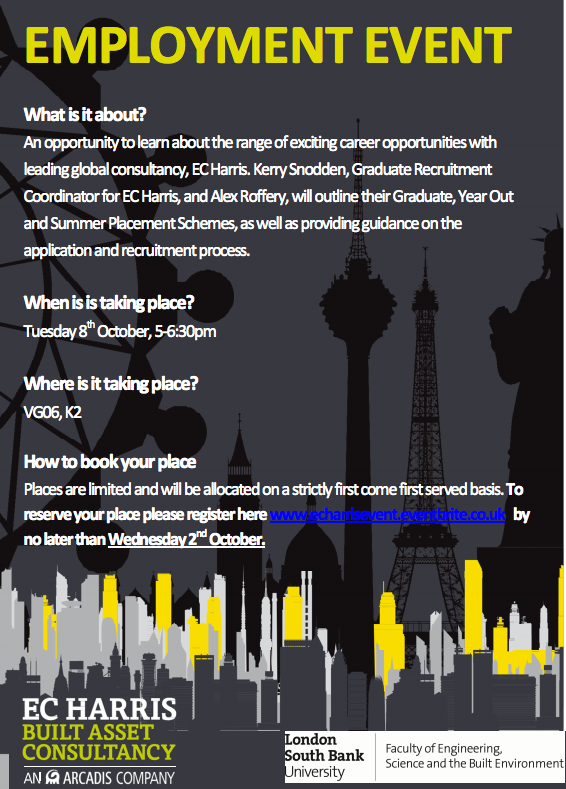 Kerry Snodden, Graduate Recruitment Coordinator for EC Harris, and Alex Roffery, will outline their Graduate, Year Out and Summer Placement Schemes, as well as providing guidance on the application and recruitment process. The event will take place at London South Bank University, VG06, K2, Keyworth str., SE1 London. It is a great opportunity for graduates and students who are looking for internship, like myself. To attend the event you need to register online from the link provided below.